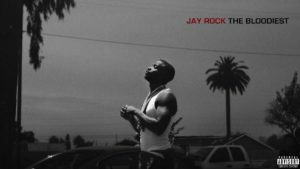 This Friday, Jay Rock will be releasing his official third studio album, Redemption. The tale focuses on the Los Angeles legend’s return to acclaim, after having a life-threatening scare two years ago, when he crashed a motorcycle. Luckily, those injuries weren’t severe, as he was able to continue his career with his day on Top Dawg Entertainment homies. Today, the Watts-based label pilots his new Redemption web-series, which sees Kendrick Lamar, Ab-Soul and other members of TDE chiming in for the big release. Peep episode one above.